One person died during an incident that forced the partial closure of the Las Vegas Strip as a gunman barricaded himself inside a bus in a three hour standoff with police on Saturday. 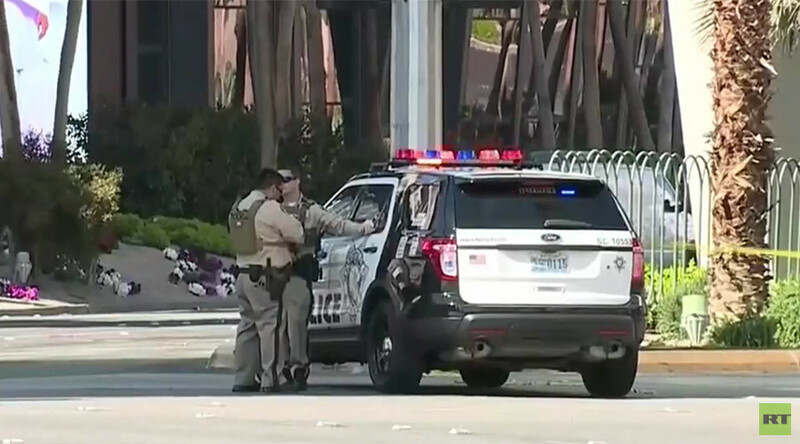 The standoff began after a shooting was reported on Las Vegas Boulevard in the heart of the Strip, near the Cosmopolitan hotel, on Saturday morning. The suspect barricaded himself on a bus, causing a partial closure of the famous boulevard. Police negotiators and tactical teams were called to the scene. "The shooting incident happened on the bus... We had one single shooting incident with two victims. Both were transported to the trauma center and one is deceased," Officer Larry Hadfield told USA Today. "This incident is being treated as a barricade at this time. There is no credible information that there is a second suspect," Officer Hadfield told CNN. Police reported that the suspect had surrendered shortly before 3:30pm local time. They asked anyone with information to contact the police department. Hadfield revealed to the media that the shooter was armed with a handgun and was the only person on the bus before he surrendered. "This is a single incident and is not deemed to be terrorism-related," he said.